I have added the last of the three songs I have of Fanta Damba No.2, recorded at the R.T.M. in Bamako in 1983 for the series "L'artiste et sa musique" presented by Zoumana Yoro Traoré (see the earlier post). Accompanying her were Bouba Sacko (guitar - also see here) and Moctar Koné. This song, "Macki", is really the first of the three. Zoumana Yoro Traoré was a well-known presenter at the RTM. You may have seen him with the videos of Coumba Sidibé, Kandia Kouyaté, Ami Koita and others. Some ten years ago I heard he had moved to France; this was later confirmed by an article on MaliWeb, and by an article in which he was said to be living in bad conditions (little or no work, separated from his children/family). I am not sure if he has returned to Mali since. 1. "Macki", better known as "Maki" or "Maki-Tara". I was listening to some recordings of the performance of Les Ambassadeurs at the Afrika Festival in Hertme. I can't say I was very disappointed about missing that particular concert. 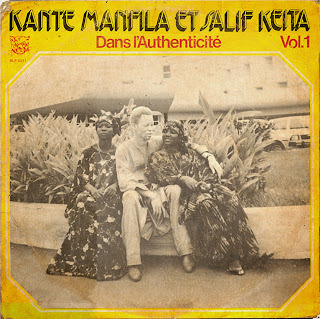 I have never been a great fan of Salif Keita's European oeuvre, but it struck me that the gap between the recordings which made him famous in Africa and the almost parody in Hertme was getting too great. So this short post is really about reinforcing my belief in Salif. Stern's have recently released a compilation of tracks by Les Ambassadeurs du Motel de Bamako. Despite the fact that it adds little to what has been released before (notably on the two lp's on Sonafric), it is a pleasant release. It shows respect for the artists, which has been missing in many of the earlier re-releases. And it is just good to have these tracks together on two CD's. The album I would like to share is from the beginning of the Abidjan 'episode' of Les Ambassadeurs. 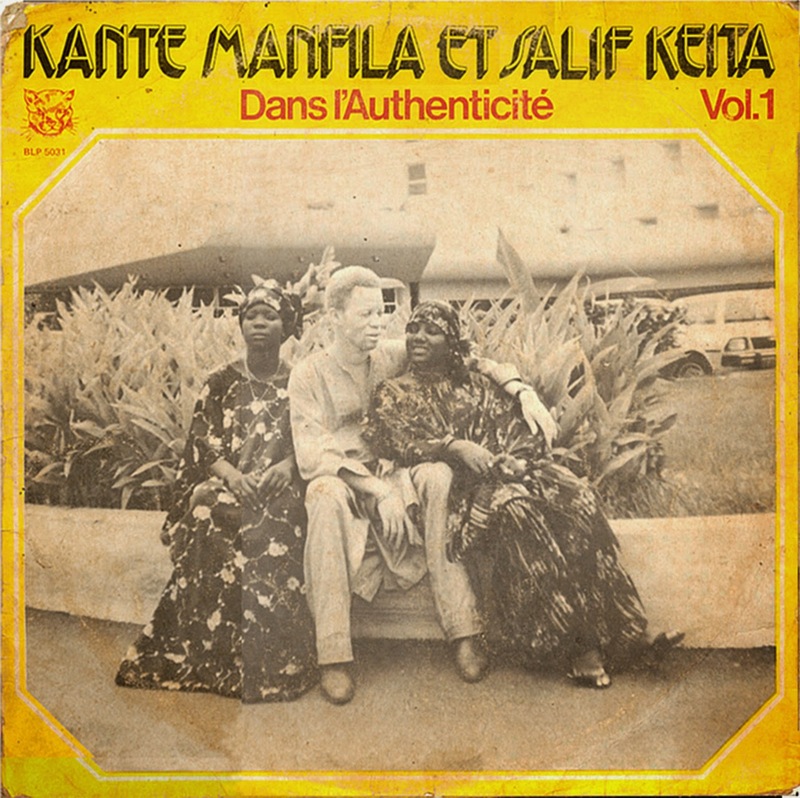 In 1979, a year after the release of "Mandjou", Salif and Manfila recorded two lp's, which nowadays would be labelled as "unplugged". I.e. the music is mainly acoustic. I have always thought that these were albums were inspired by the Épopée du Mandingue series released six years earlier on the Guinean Syliphone label. Salif himself has declared many times that he was a great admirer of Sory Kandia Kouyaté. This he already demonstrated on the albums with Les Ambassadeurs du Motel, by the choice of songs like "N'na", directly borrowed from Sory Kandia. Salif lacks the 'belcanto' (and - luckily for him - the pompousness) of Sory Kandia, but adds a touch of street-wise popularity which his example lacked. I love this album, and I love Salif Keita for making this album into a classic. In it Salif shows many shades (even more than 50...) of his vocal range. But I must add that it takes many hearings for the beauty of these songs to really open up. The expressiveness of "Djandjon" is balanced by the almost painful shyness of "Finzamba". What is lacking from the present-day Salif is best demonstrated in the last song "Wara-Mana": the intense, deep felt passion of his singing. Please forgive the quality of the record. BLP 5013 -- plus flac (until Oct 1! ).